After enjoying this dip, I would recommend their Grilled Steak Fajitas — juicy hanger steak that will melt in your mouth on top of grilled peppers and onions served with warm tortillas, Mexican rice, refried beans, tomato/onion mix, guacamole, and sour cream on the side for $18.75. Jose Andre’s unique mix of traditional Mexican recipes has a touch of modern cuisine to it. 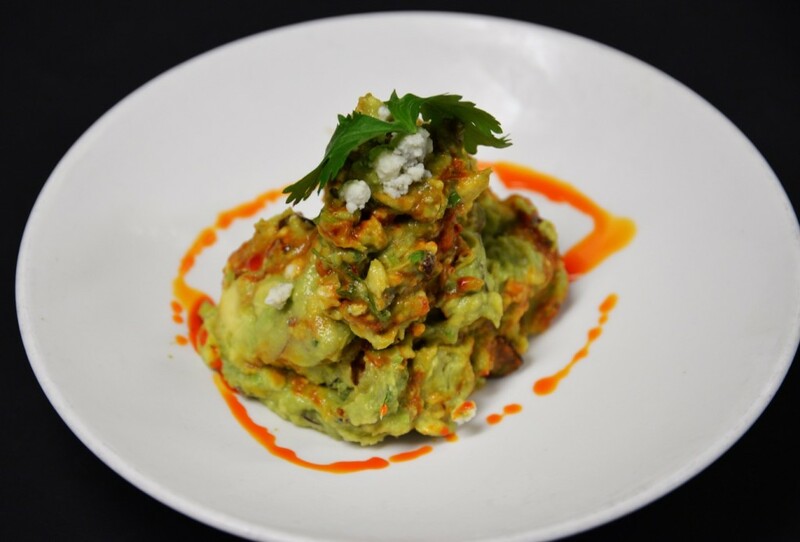 The key ingredient to their guacamole is the crumbled queso fresco added on top, combined with serrano, chile, green tomatillo, and of course avocados, made fresh in front of you for $13.50. Also, to add even more to engage your taste palate with their unique additions to your guacamole: you can add their salt air margarita (Milagro Silver, Combier L’original, fresh lime topped with salt air) for $12 or their flaco margarita (orange-infused tequila, fresh lime, grapefruit bitters and a splash of soda water) for $7.50. Feeling a little full? Well, good to know that this restaurant serves small plates so you can try a little bit of everything. 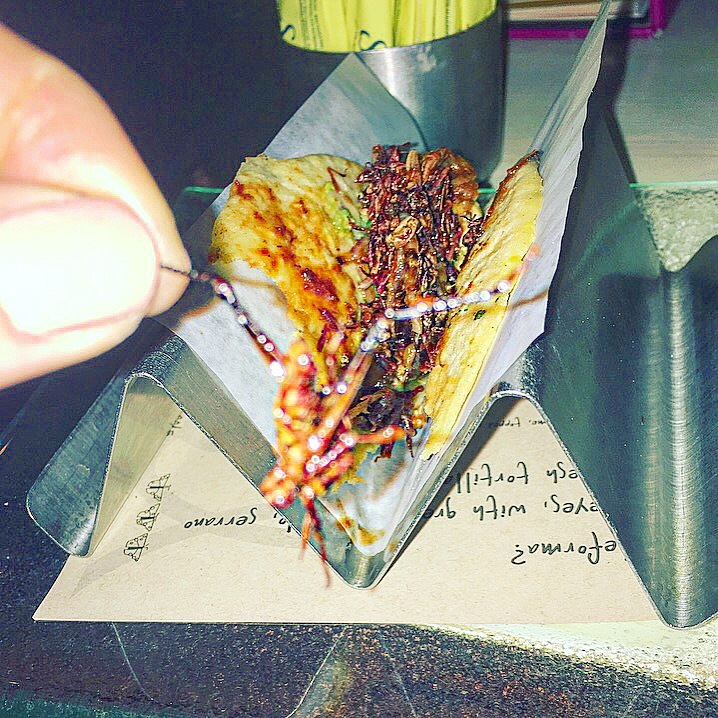 If you’re feeling adventurous, try one of their most famous dishes: Chapulines (consisting of sautéed grasshoppers, shallots, tequila, and guacamole). If insects don’t seem too appetizing, don’t fret because they have pork, chicken, beef tongue, mahi mahi, and mushroom taco recipes, and many other delicious dishes to explore each for $4 or $5. 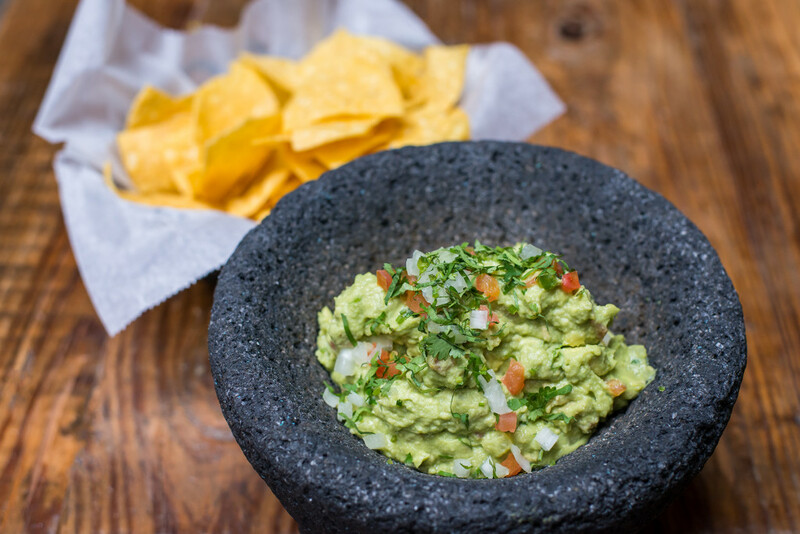 If you want to stick to the more traditional guacamole you’ve always loved, try this dip made with avocados, tomatoes, onions, cilantro, lime, chile, and serrano, served with tortilla chips for $11.55. 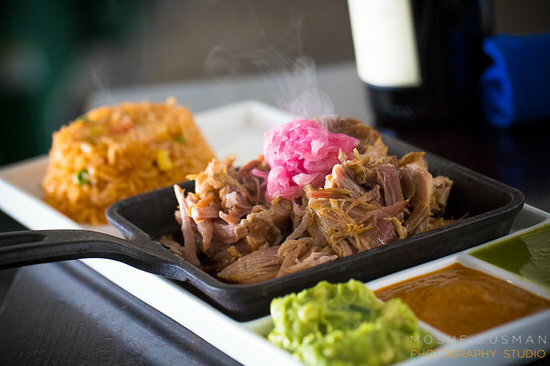 A fan favorite is the skillet pork carnitas: a sizzling skillet of slow roasted pork, with guacamole, charro beans, pickled onions on top, and Mexican rice, salsa verde, habanero served on the side (you’ll be wanting more, I promise you). Fresh out of the pot onto your plate into your stomach. If you’re looking for the ripest and freshest avocados out there, Lauriol is the restaurant that uses them all to create this masterpiece dip. 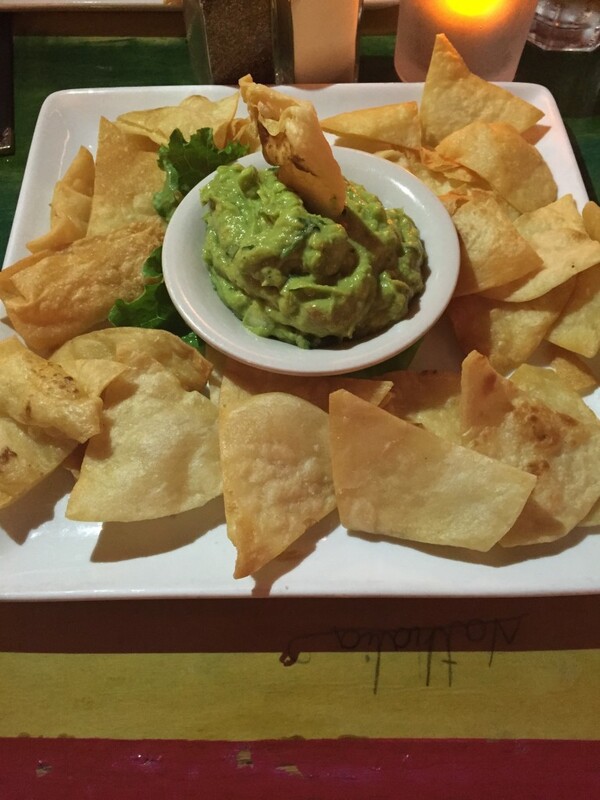 A traditional guacamole dip made with: avocados, tomatoes, cilantro and onions served with tortilla chips for $6.95. But don’t end your meal here, there are way too many delicious dishes worth trying. 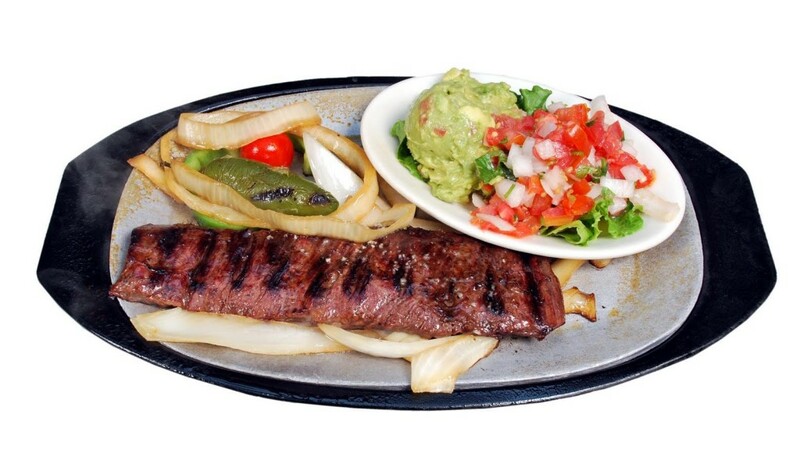 The carne asada dish seems to be a crowd favorite that consists of juicy beef skirt steak marinated in Mexican herbs and mesquite, grilled to perfection and accompanied by guacamole, pico de gallo, Mexican rice, frijoles a la Charra and flour tortillas for $16.95. 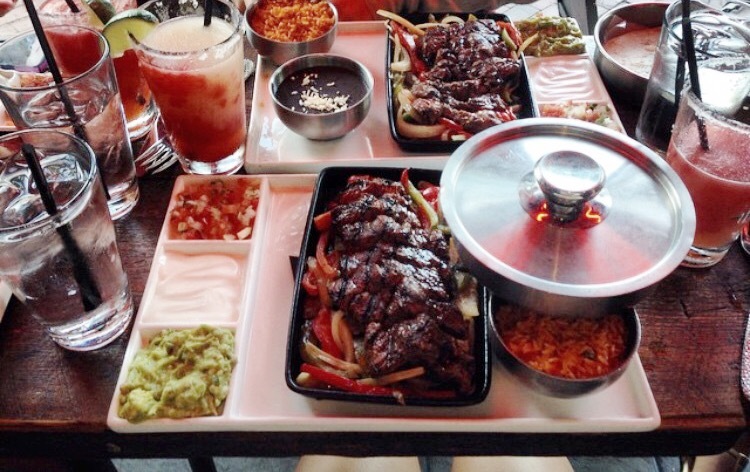 This meal will exceed your expectations and make your stomach beg for more. If you’re not a big tomato or onion fan, this is the dip for you. 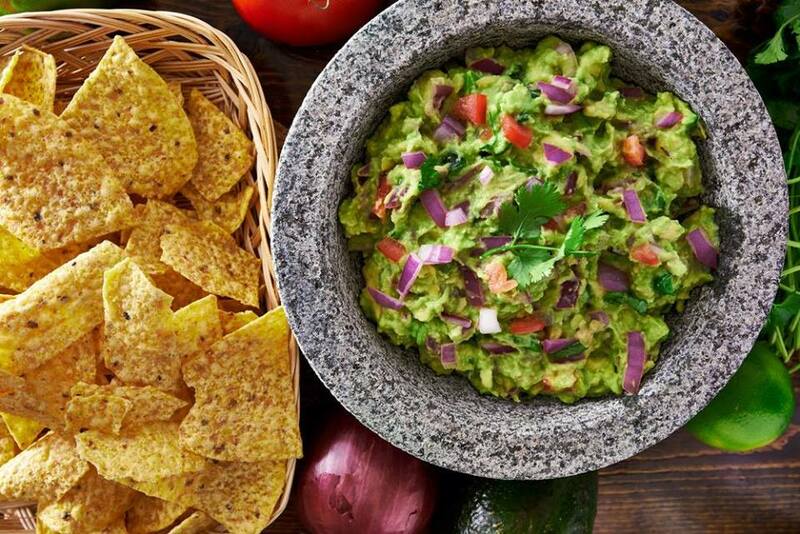 You get their homemade guacamole dominated by the savoury taste of ripe avocados and served with crunchy pita chips instead of tortilla chips all for $7.99. These chips are more filling so if you’re more of a bread lover, you’ll love these for sure. After sharing this with all your friends, I suggest getting the Hawaiian Fajita. If you’ve never had grilled pineapple, trust me, it’s juicy, warm, and sweet — a perfect combination to add to grilled chicken. 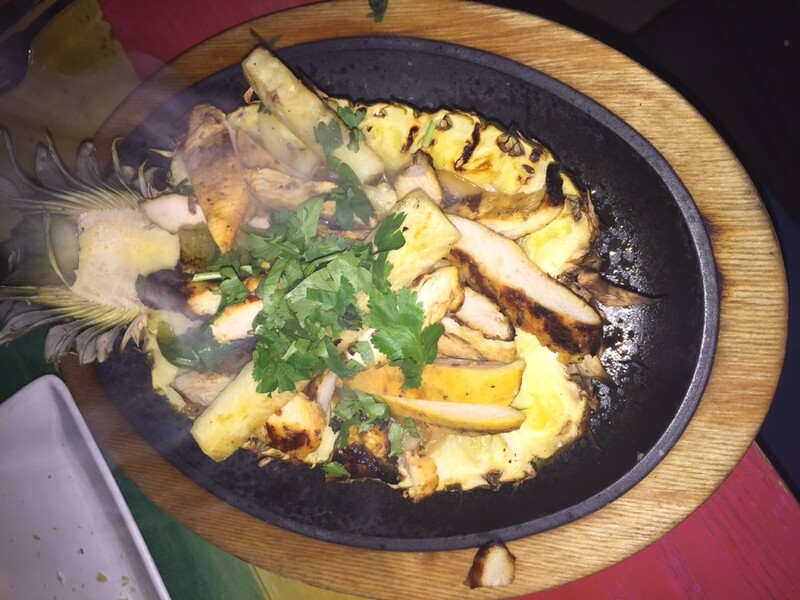 This creative dish comes with grilled pineapple, chicken, and vegetables served with Mexican rice, refried beans, guacamole, sour cream, pico de gallo, cheese, and warm flour tortillas. And to top it all off — it is served inside of a cut up pineapple, as shown, for $17.99. 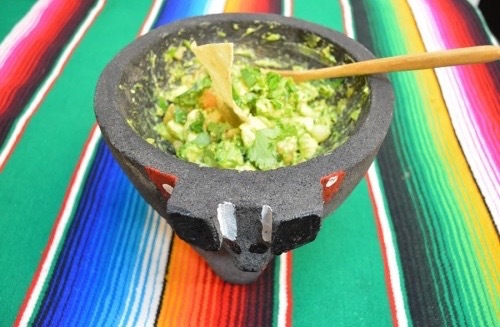 Are you willing to add a little kick to your guacamole? 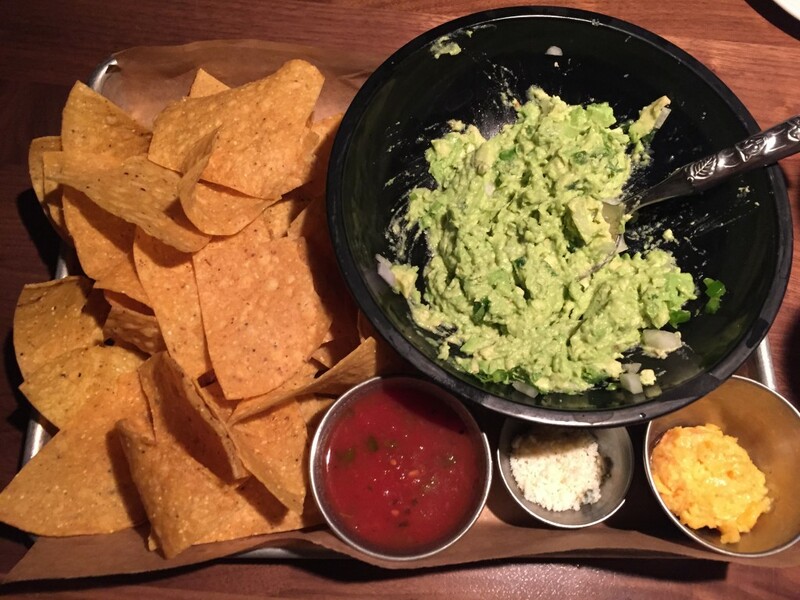 MXDC offers their traditional guacamole (vegetarian, vegan, gluten free): tomatoes, onions, cilantro and jalapeños for $11, but they also have three other dips that will blow your mind. Imagine combining guacamole with lobster or bacon or crab… Well the time for you to try these innovative dips is here. Azul (gluten free): Blue cheese, bacon, chipotle, red onion for $12. If you’re a cheese lover, this is the dip for you. 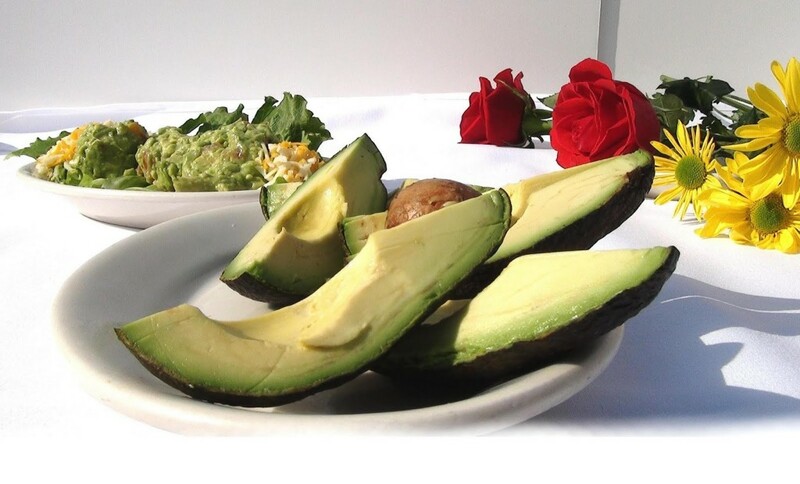 The smooth texture of the avocados blends perfectly with the rich pungent blue cheese flavor and to top it off, the chipotle sauce gives it that kick of spiciness. This dip will melt in your mouth and make you more than satisfied with the mix of flavors. Lobster & Corn: Lobster, corn, smoked chiles, red onion, queso fresco for $15. This unique mixture is my favorite. 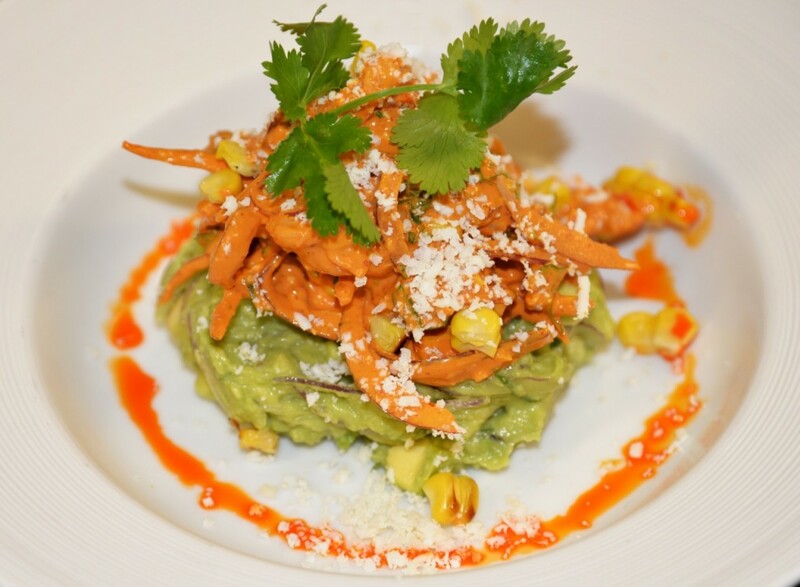 The sweetness of the corn combined with the avocado flavor balances perfectly with the spiciness of the smoked chiles. And to add the final touch, the lobster is placed on top. This is more than just a dip, it’s a piece of art that will fill you up but make you still want more. 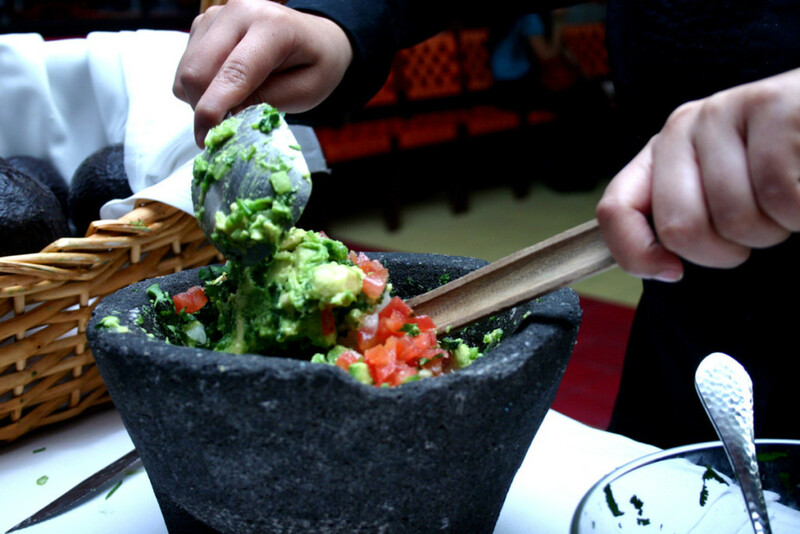 But don’t forget, there is one more tasty guacamole dip offered at MXDC. Crab: Crab meat, grapefruit, serrano and rosemary. The combination of savory, sweet, and sour tastes will blow your mind. 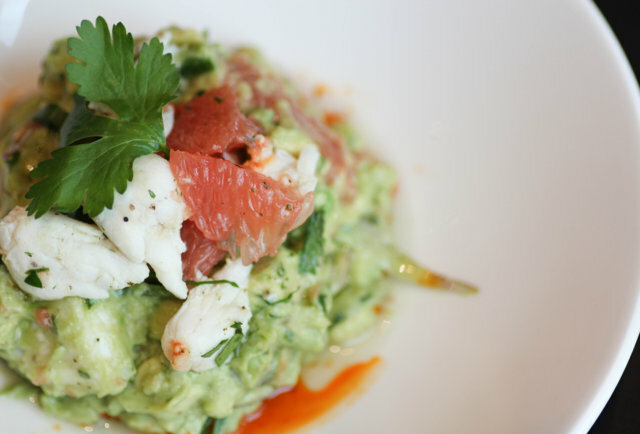 The fishiness of the crab meat is counteracted by the savory avocados and the grapefruit adds this zesty sour tint to it. What else could you possibly want? 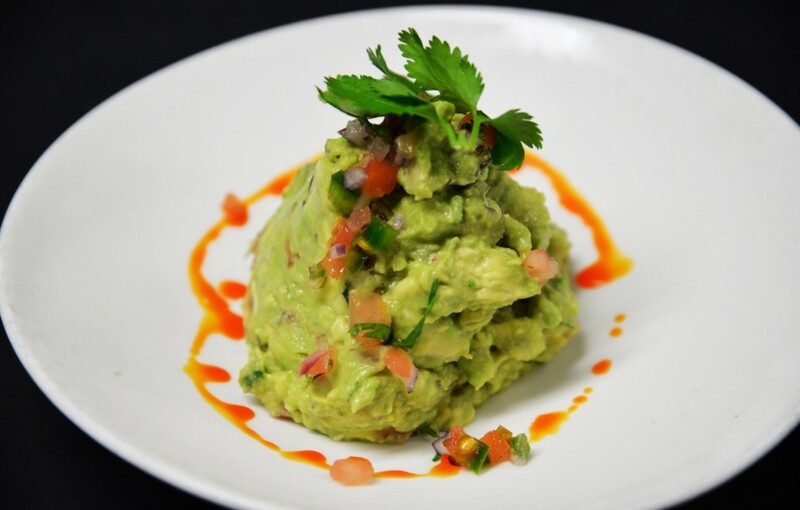 All these amazing guacamole dishes are the most unique dips you will find in DC, so don’t wait any longer to go try them. 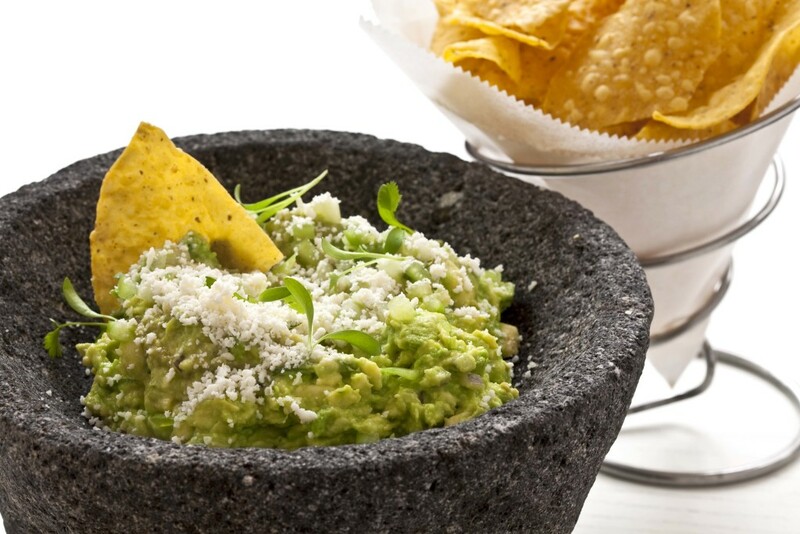 If you enjoy a little demonstration, you should go to the fabulous Rosa Mexicano and try their fresh guacamole made with avocados, jalapeños, tomatoes, onions and cilantro served with warm tortilla chips and salsa for $14.00. After trying it, if you’re curious to know why it tastes so delicious, check out the recipe on their website. 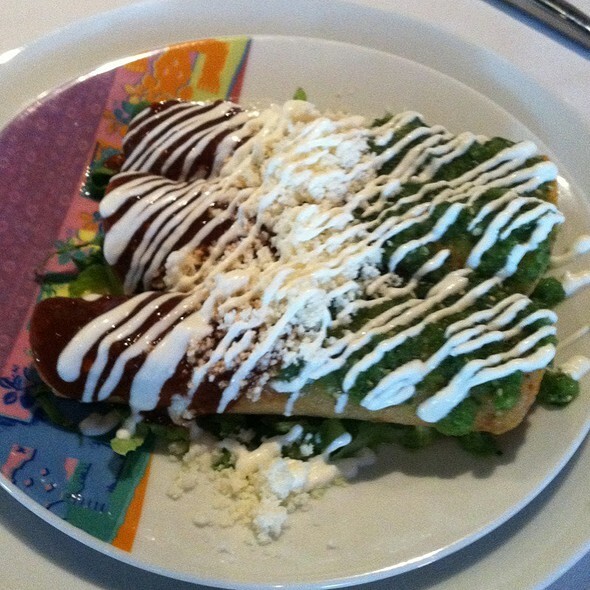 For your meal, I recommend the flautas de pollo, which are crispy corn tortillas filled with chicken tinga topped with salsa pasilla de Oaxaca, salsa verde, queso fresco, and crema. The cheese will melt in your mouth and the mixture of sauces create a fantastic blend in your mouth. 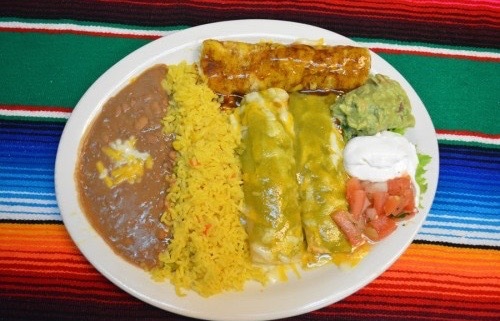 If you’re looking for a Mexican combination, try the beef, chicken, and cheese enchilada served with Mexican rice, refried beans, guacamole, sour cream, and pico de gallo served on one beautiful plate all for $12.95. Mix them all together or eat them all separately, it’s your call. Lastly, the only restaurant on this list that is NOT a Mexican Restaurant is Farmers Fishers Bakers. Their unique menu ranges from sushi to jambalayas to pizzas to mussel platters and much more. If you’re in the mood for guacamole but then want to have a nice juicy steak and fries instead of a taco, you should try the table side guacamole made fresh with avocados, onions, and cilantro served with tortilla chips and 3 other dips including a cheddar cheese, barbecue sauce, and shaved cheese for $12. After eating this amazing entree, you’ll see you could eat anything off the menu and love it. If you want another appetizer for the table, I recommend either the Brick Oven Pretzel served with pimento cheese, bbq mustard, and sour cream & onion dips, or the baby cheeseburgers. If you’re in a sushi mood, get the Chesapeake roll for $10; if you want a salad, the shaved cauliflower and asian pear is delicious for $8; but personally, my favorite dish is the crab cakes served with farm-a-roni and succotash for $29.